Stan Gray was perhaps the best known of the McGill student leaders; in the 1968-69 school year, he played a key role in founding the SDS-like Radical Student Alliance. As long as it was demanding student power or opposing the war in Vietnam, it appealed to a wide spectrum of students. 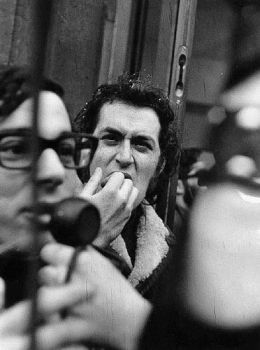 But when, in the spring of 1969 Gray and supporters worked with francophone groups calling for a McGill Francaise, it found fewer McGill students willing to come out on the streets. Photo by by Irvin Shizgal. More of Irvin's 1969 photos on Flickr.com.